THE GOLF CART GUY specializes in offering rentals of golf carts in Raleigh, Durham, Chapel Hill NC and within surrounding areas within a 100 mile radius. We have been in the service business for over 20 years. 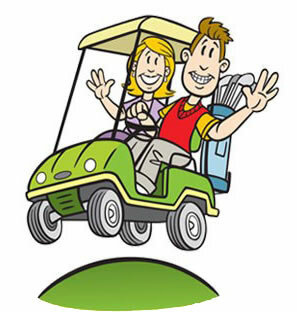 We have the experience and expertise to ensure that the golf carts you rent for your special event will be delivered on-time and provide reliable transportation for your guests or event participants. Golf carts are used for many venues, such as golf course tournaments, corporate events, games and tailgating, weddings, marathons, racing , town events and the list goes on. Call us at (919) 465-3227 for more information. We are open 7 days a week.